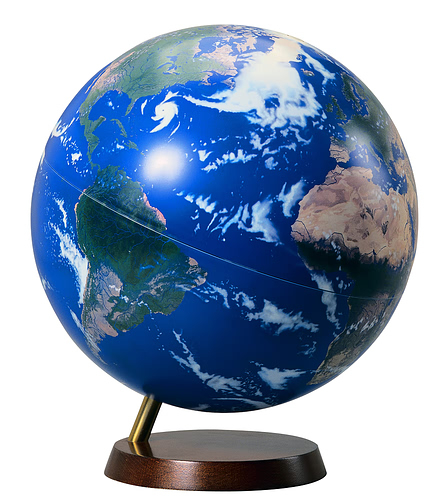 If you just happen to still be considering a social studies selection for your high schooler, there is a course on introduction to comparative world governments offered by Mark Twain publishing company that looks very student-friendly. 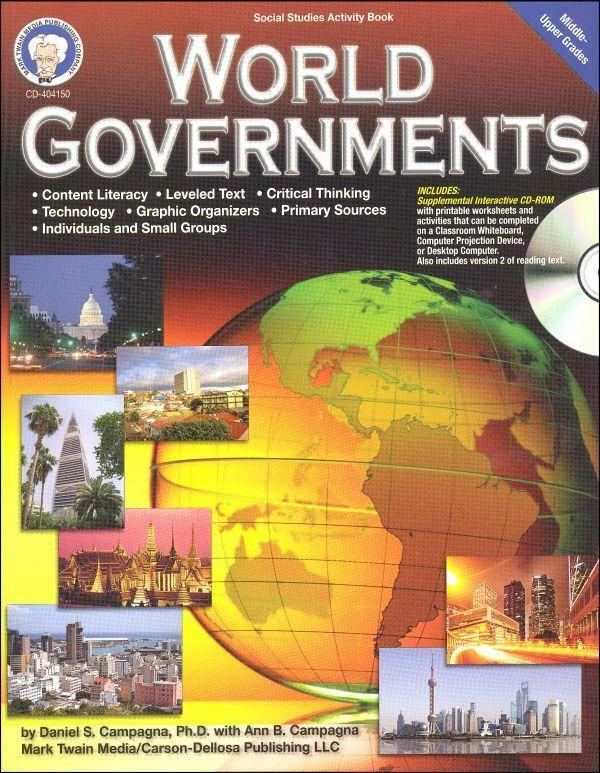 This course, called World Governments (social studies activity book) by Daniel S. Campagna Ph.D., can be found in the Rainbow Resource Catalog for around $12.00. The only other high school comparative governments course in our records is one for Advanced Placement. Below are the features of this course that will strengthen the student's understanding of the U.S. constitution. In this activity book, students will learn about nations and governments from all regions of the globe. Considering the 194 independent nations in the world, the book categorizes the different governments into 13 types which are located in seven major geographical regions- Africa, Asia, Central America, Europe, Middle East, South America and North America. In Asia, for instance, students will learn about the governments of China and Thailand. In South America, students will look at how the nations of Brazil and Peru are governed. As the 13 basic types of governments are examined, students will also have a chance to explore deeper into each nation's own particular government, history and culture. Ultimately students develop enough understanding of government types that they may answer questions such as: What is life like in a successfully governed nation? How does a nation fail? Where are people happiest (or not)? How has history shaped world politics? How do nations rate in terms of successful governments? Accompanying the activity book is a CD-ROM which presents the entire activity book at a lower level. The disc also includes puzzles and logic problems, a simulation on designing a new government and links to websites allowing the student to see and hear newscasts or read newspapers from other countries. Also included are challenge exercises comparing countries' constitutions and exercises on developing a treaty among world governments. Among the constitution projects is a complete text of the United States Constitution. For students who would like to supplement this activity book, NARHS can supply a 10 page study guide examining the details about the U.S. constitution. Whether or not you purchase the World Governments activity book, if you would like the study guide to the U.S. Constitution, just ask your advisor to send you a copy electronically. The completed guide can be turned in with the portfolio at the end of the year for .25 social studies credit.